I hold a special place in my heart for mouthwatering comfort food recipes. I mean let’s be honest, who doesn’t? It really does not matter whether it is 100 degrees outside or if it is 10 degrees with a foot of snow. Comfort recipes are good anytime and they really do make things a little better and lower your stress level. It is the pleasure experienced by our taste buds that seems to provide this stress relief. 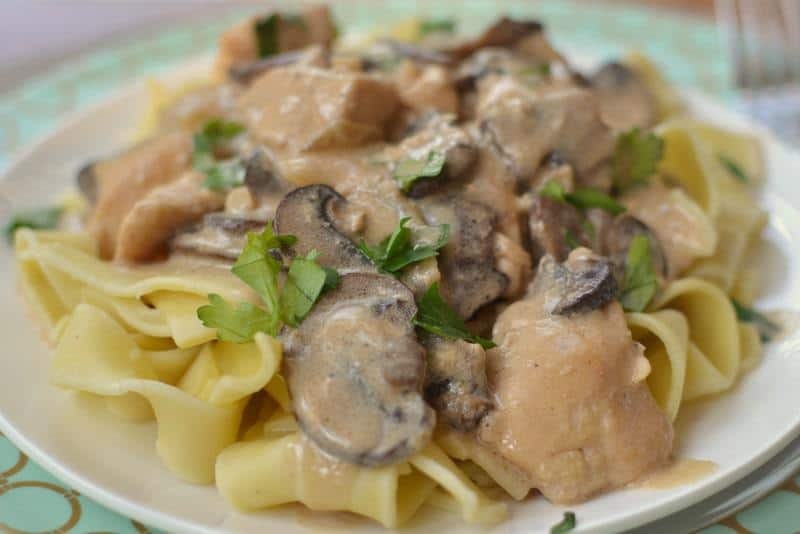 This Easy Creamy Chicken Stroganoff combines golden brown mushrooms, chicken breasts, garlic and onion in a rich creamy flavorful sauce. It is prepared easily in a large skillet and contains no canned soup so you can feel great about this wholesome recipe. 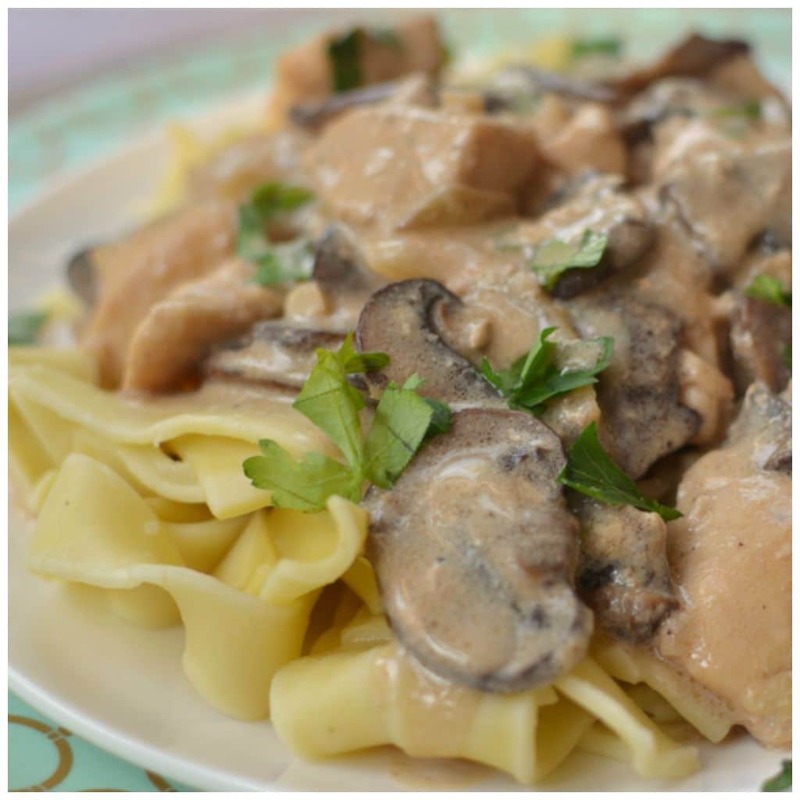 You can serve this scrumptious Easy Creamy Chicken Stroganoff over egg noodles, rice or mashed potatoes. 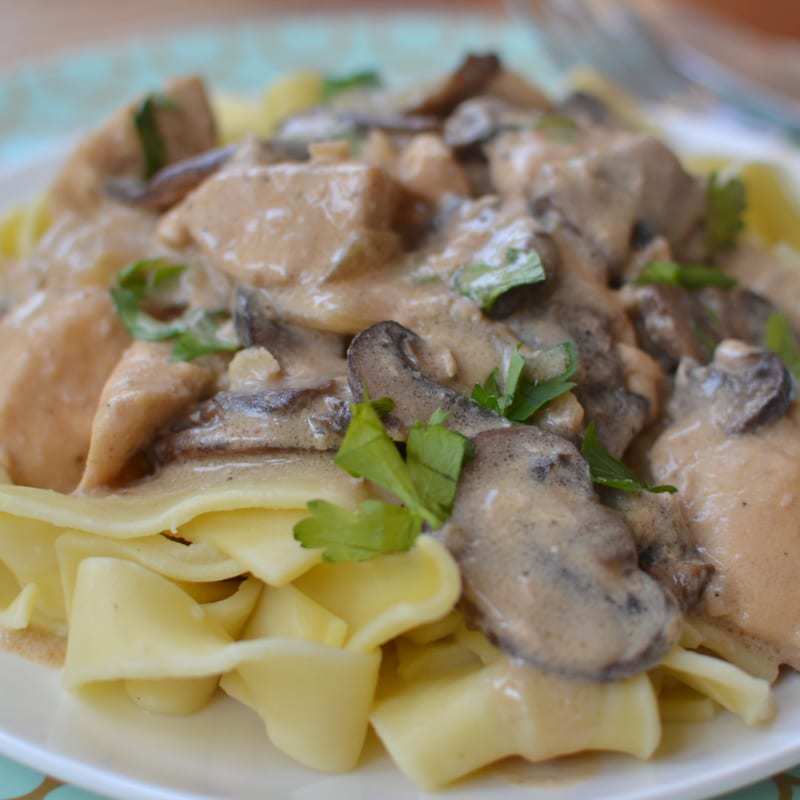 Have you tried any of my other comfort food recipes? Bacon Chicken Sausage Macaroni and Cheese, Easy Pan Fried Chicken and Cream Gravy and Bacon Asparagus Cajun Pasta are just a few of my favorites. Roosters perform a little dance called ‘tidbitting’ in which they make sounds (food calls) and move their head up and down, picking up and dropping a bit of food. Researchers have found that females prefer males that often perform tidbitting and have larger, brighter combs on top of their heads. And which came first, the chicken or the egg? Well, all vertebrates have eggs, but the hard shelled variety first appeared among reptiles. 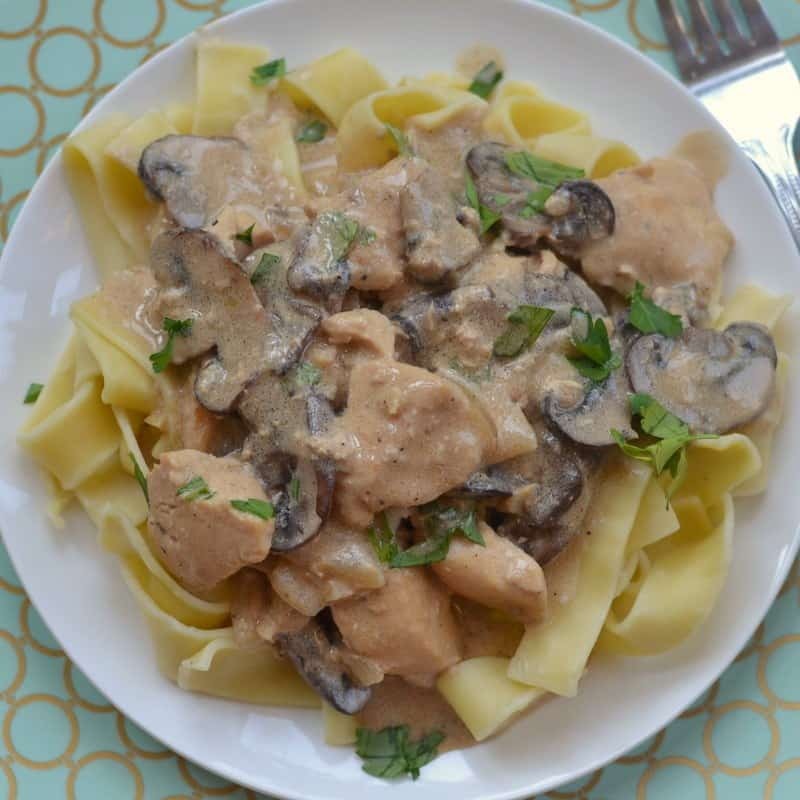 So put this delectable Easy Creamy Chicken Stroganoff on your list this week. 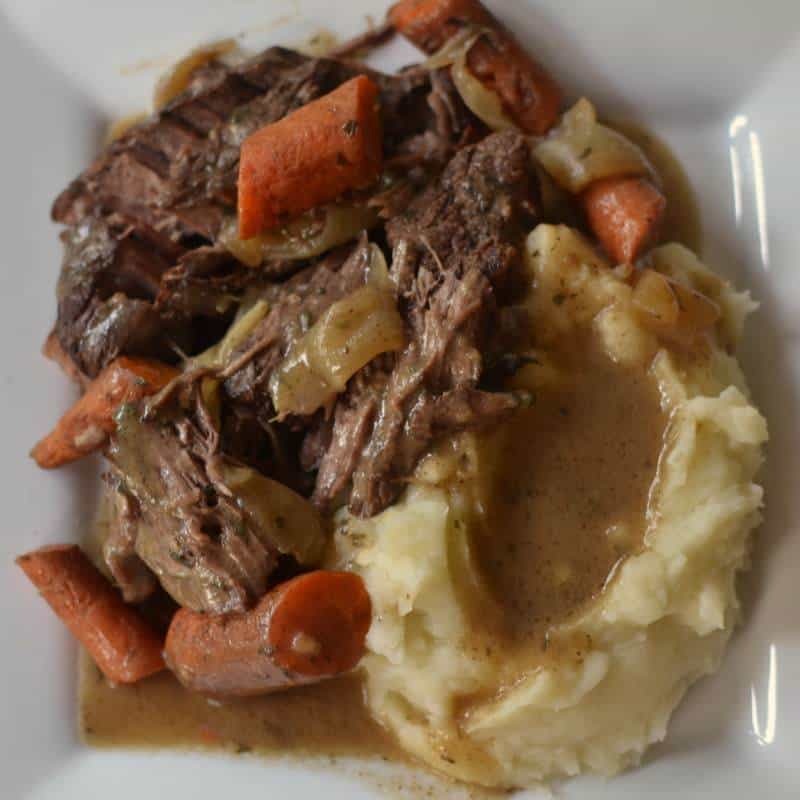 It is the perfect comfort recipe and easy weeknight meal. Your family will be singing your praises over and over again. 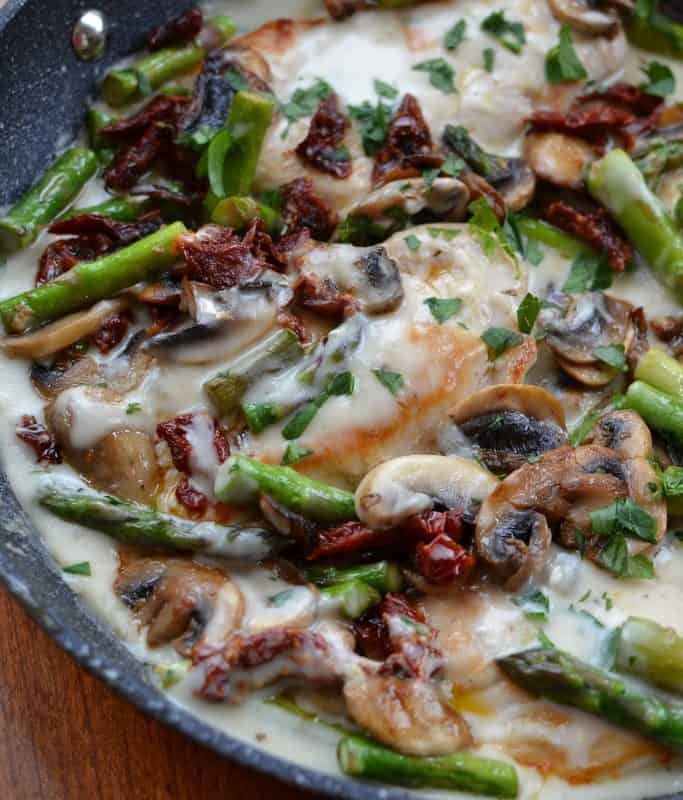 In large skillet over medium high heat add 1 tablespoon butter and 1 tablespoon olive oil. Add mushrooms and cook until golden brown. Add garlic and cook for 30 seconds; remove to plate. Add 1 tablespoon of olive oil to skillet over medium high heat. Add chicken and onions. Cook until the chicken is lightly browned; about 5-8 minutes. Remove to plate. Melt 2 tablespoons of butter in skillet over low heat. Whisk in flour. Cook for 90 seconds whisking constantly. The flour mixture will be thick. Slowly add chicken broth whisking constantly. Whisk in Worcestershire sauce, paprika and sour cream. Add chicken, onions mushrooms and garlic back to skillet and simmer for 10 minutes. Other comfort food recipes you will love!